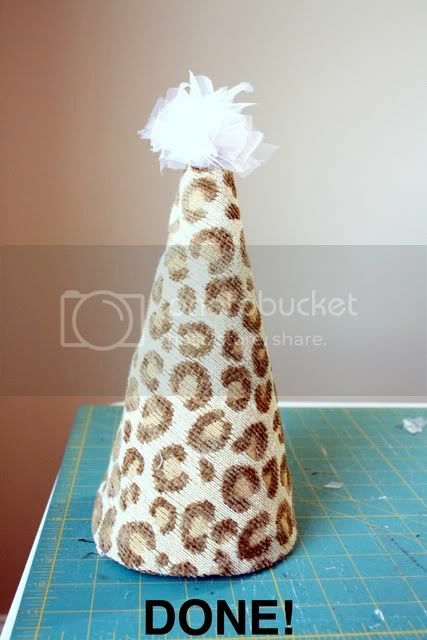 For the pom pom on top I used long strips of tulle that came off the serger when I was sewing Ellie’s birthday dress. I will share that tutorial tomorrow. 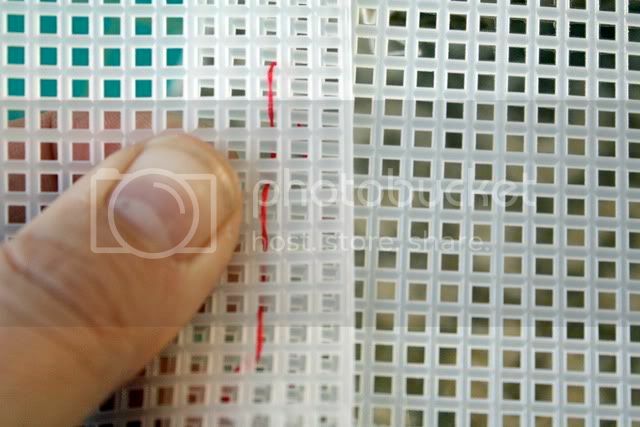 Oh, also an embroidery needle and embroidery thread. 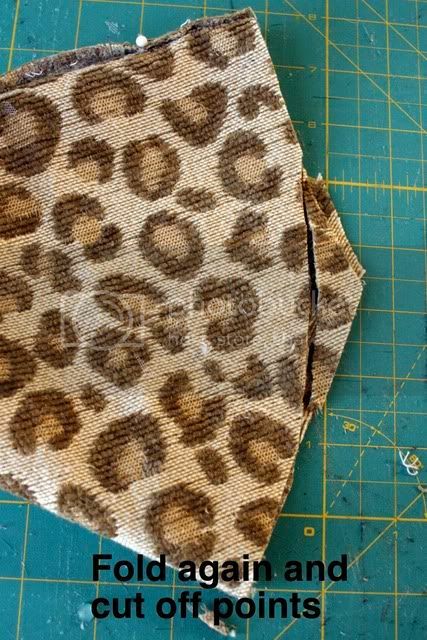 Overlap the two straight ends and pin, then fold so the overlapped edge is facing up and in the middle. 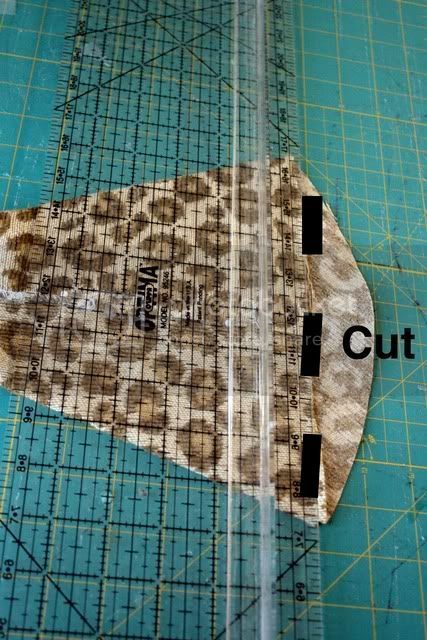 Cut the curved edge off. 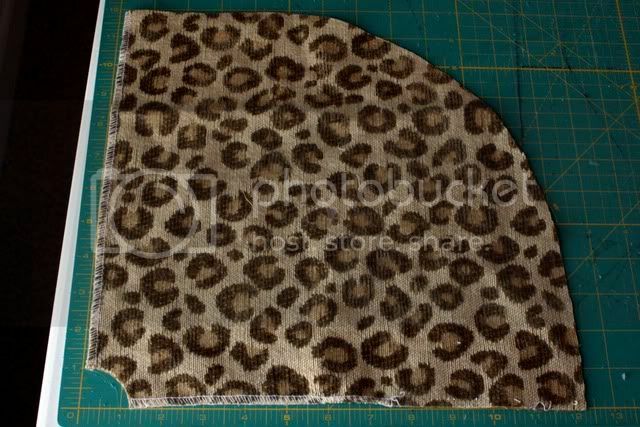 Then fold in half again so the pinned edge is to once side. There should be a point. Cut that off. 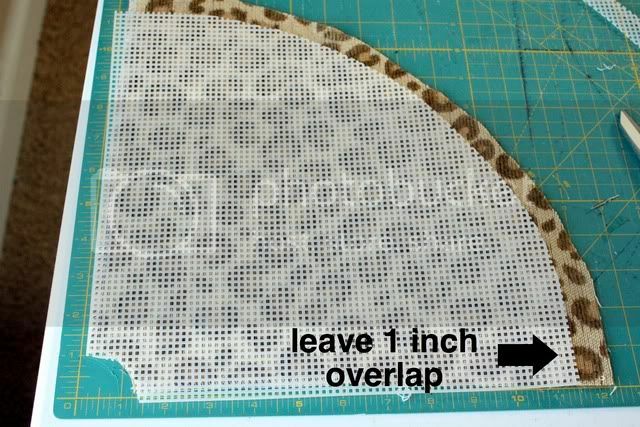 Now cut a piece of embroidery grid, but make it a little shorter than the fabric so there will be a 1 inch overlap. Overlap the pieces of grid about 1/2 inch and sew closed with embroidery thread. If you dab hot glue at the bottom before you start sewing it helps tremendously. 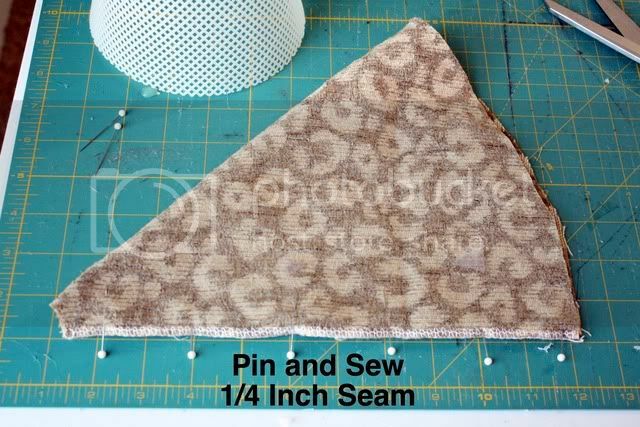 Now pin the straight edges of the fabric together and sew using a 1/4 seam. Now you have two cones. 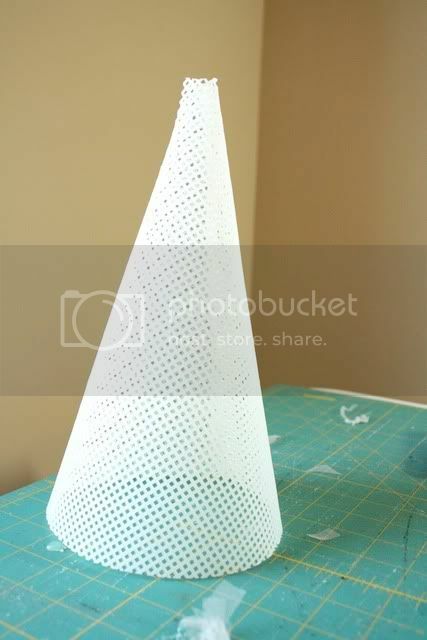 Put the fabric cone over the plastic cone. 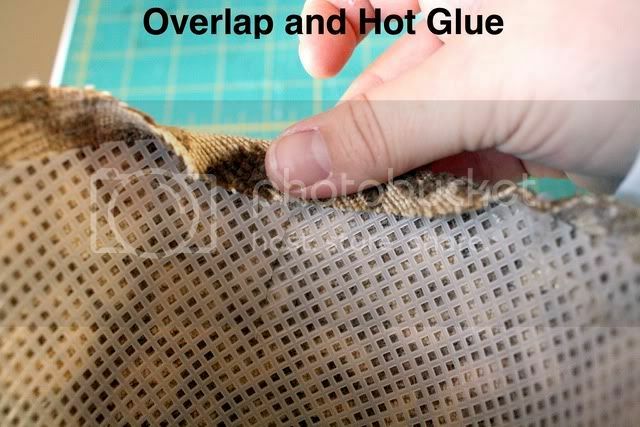 Fold the fabric over and using the low setting on your glue gun, start gluing it down. 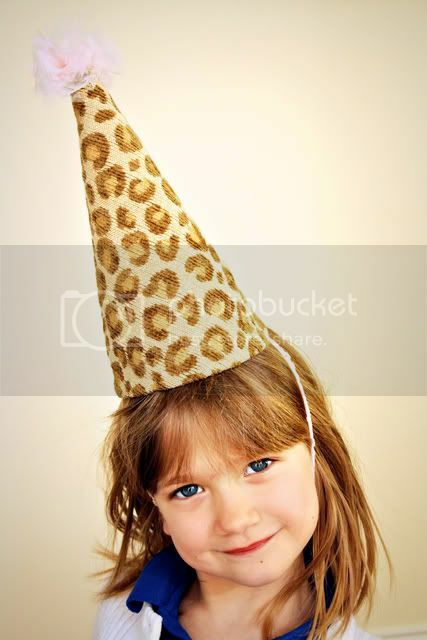 Glue the elastic to the inside of the hat. 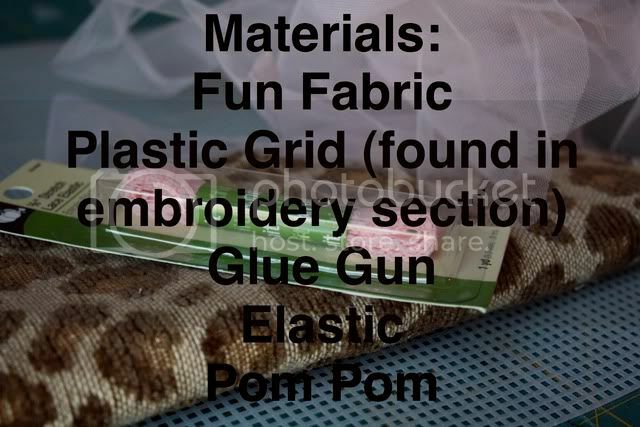 I used lacy elastic here but you can also use elastic thread or regular thin elastic. 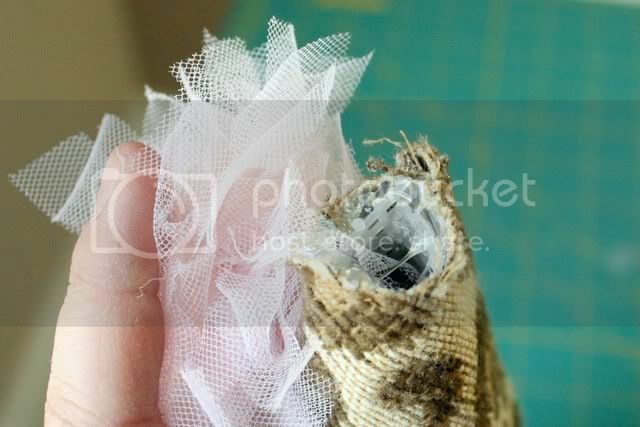 Hot glue a piece of ribbon around the inside edge so there won’t be any fraying. 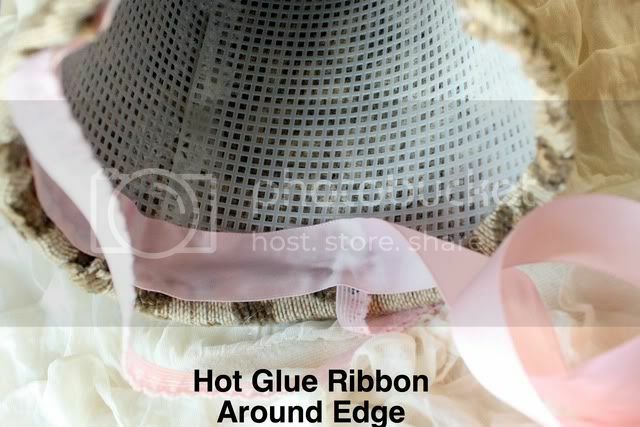 Make sure the ribbon is glued on top of the elastic for security. 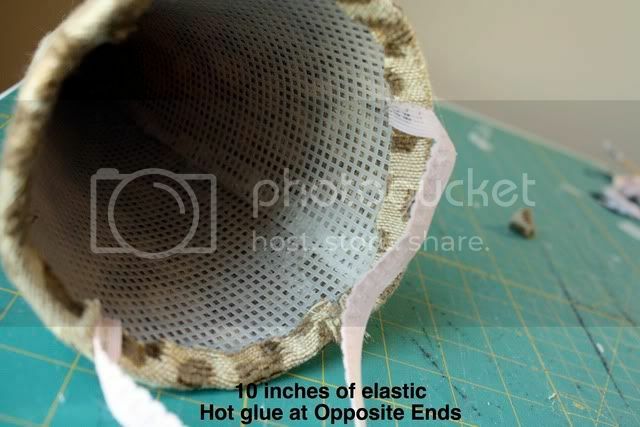 Now snip off enough of the top so that the fabric is barely overlapping the plastic, and run the hot glue around the top. Put the pom pom on top and push it into the hole a little bit. I used a pencil as to not burn myself any more. Ta-da! 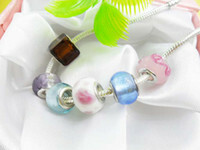 Now you can decorate it any way you’d like. I wanted to put a ruffle on it but Charlotte said she liked it exactly as is and really hasn’t taken it off since. 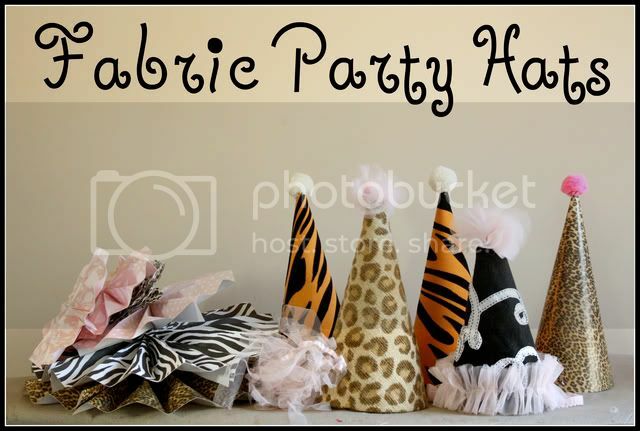 Ric rac would be fun, as would pom pom garland, or even tulle flowers. 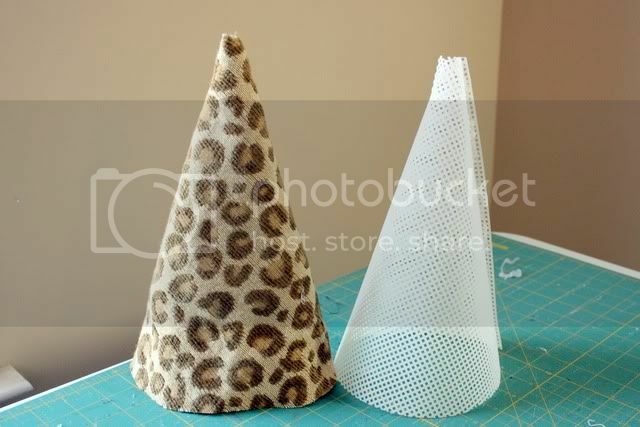 If you don’t have time to do a fabric hat, Disney at Ruffles and Stuff has a GREAT paper hat tutorial. Those hats in the back? Made from scrapbook paper! Thank you Disney for the decoration inspiration! 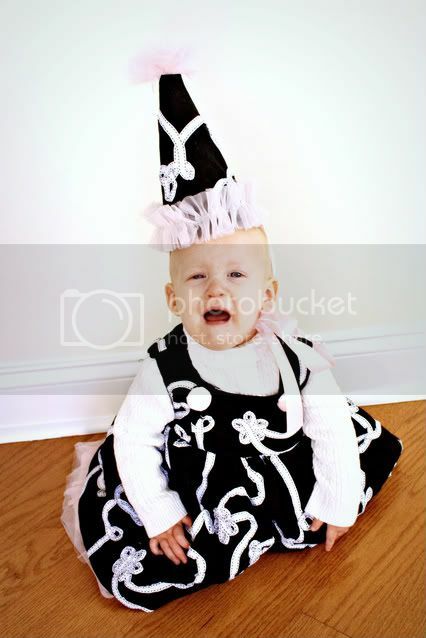 Here’s a parting shot, just because crying babies in fancy get-ups are always funny :-) Have a great day! For latest information you have to visit world-wide-web and on world-wide-web I found this web page as a finest website for latest updates.